A blog and YouTube channel about solo boardgames: reviews, playthroughs, and the occasional rant. So this weekend being full of social gaming for me, I began to remember a particularly traumatic experience at a convention. I have never been one to think quickly on my feet, without some serious reflection, yet I never want to be the one who holds up the game with Analysis Paralysis, so my decisions tend not to be optimal in the social gaming circle. Sometimes that's a terrible understatement. And this has led, again and again, to people dismissing me, viewing me as a flighty person who can't even keep a long-term strategy in their head, who can't even deal with short-term tactics. Unpleasantly and sometimes pleasantly, this has led to total surprise by people, who were so afraid of me teaching a game at a convention but were stuck, to find out that I can teach a game well and logically. To a certain point I even put myself down, but until recently that had been somewhat minor. Two years ago, I think, I was playing a partnership game of Innovation, which is one of the worst games to play if you can't think on your feet and are considerate enough of other players to not hold up the game. I made, as usual, non-optimal choices. And my partner started to yell and scream at me, raising his voice to harshly scold me for my stupid choices. In the end, I did make a move that helped us to majorly crush the opposition, but by then the damage was done: nowadays, every social game I play is tainted by this experience. By this realization of just how stupid people must think I am in person. I haven't much of an ego, but that ego was crushed by that enlightenment. Social gaming, I have discovered, is no longer a refuge with strangers who don't know me and don't know how intelligent I really am, but laden with stress and uncertainty and shame at how inadequate a player I am. I don't break down in tears over it, but sometimes I come close. But solo gaming is different. When I started to play solo games in earnest, I began to discover that I was intelligent; that I wasn't bad at games (well, most games), given a stress-free environment in which to thoroughly think out my moves. I actually managed to learn how to become brutally efficient at producing wines in Viticulture within just two games, for one thing. I came close to winning Darkest Night (First edition) half of the time I play it, and that is one hard, hard game. I've managed to beat Paperback, which basically relies on a deck that can eventually produce 17 money in 4 tries. Of course, there are games I haven't been even come close to crushing, like Race for the Galaxy or Ghost Stories. Pandemic escapes me still, and I gave up on Mage Knight Board Game and Arkham Horror. But... those I mostly played early on in my soloing career, back when I played at the same speed as in social gaming, and promptly got my behind handed to me. When I solo, nobody is held back by me. I can think things through. I can press my mind to its best performance, which honestly is not so fleet and quick at strategy or tactics (figuring out and learning rules, on the other hand, I'm pretty fast at). That's probably a good thing, in the end, that I don't bother other people. Except for friends who have somehow figured out that I am not dumb and put up with me. To whom I say, thank you, for looking past how I present myself on my feet. 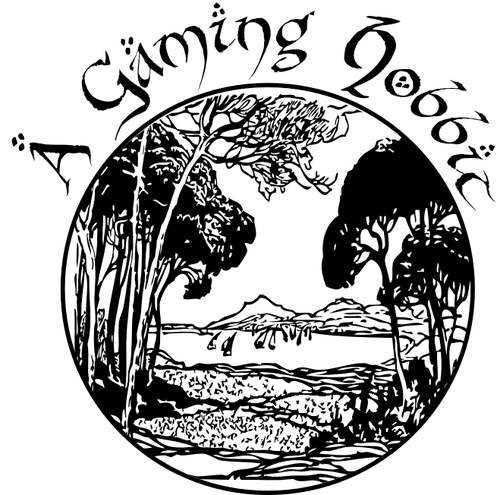 I've debated on whether to post this on Rediscovering the Joy of Gaming or here, but this blog has more posts in it, so what the heck, let's post here. ... then I went to BGG❤FAM, which is perhaps the very opposite of cutting back on expenses. But I'd already registered for it back in November when things were a bit... less bad maybe (it's so hard to tell sometimes) and the plane tickets and hotel were already accounted for, so off I went. And continued to wonder, and worry, but I enjoyed myself quite thoroughly regardless. Board gaming is in many ways more than just a hobby for me. It was, and continues to be, a life line. Whether I'm gaming by myself or gaming with other people, board games have always kept me alive. So I began to wonder if I couldn't somehow do something involving board games for a living. I know various designers and publishers, and have an outstanding invitation to the Gathering. It's kind of a small place to work from, but it's better than trying to be yet another full stack developer on the island. Of course, I know that board game design and board game publishing are not up my alley. But software development is. Almost eleven years of it, in one of the toughest environments outside of the game industry. I haven't developed games before, but I'm plenty sharp enough to learn, and learn very quickly. Starting from zero game development knowledge I've already managed, in maybe 12 hours, to develop a little application that deals cards on my iOS devices and my desktop. It's eventually going to become a shorter version of Mah Jongg that can be played two-player. This game, I'm going to take it to the very limit so I can show at some convention or other (is it too much to hope I can hold out until the next Gathering?) what I'm capable of doing. I want to implement all the bells and whistles to make it an endearing experience in terms of animations and music. I want it to deploy to iOS, Android, and all desktops. I want to add an AI as well as pass-and-play. I want to add a game lobby outside of Apple's Game Center, and asynchronous play, with additional social login integration and social sharing if at all possible. Leaderboards and achievements are possibly an additional thing. Push notifications a definite thing. To be honest, the thing I'm most afraid of at this point is the App Store approval process. I have rarely seen that process be a pleasant one. Doing all that is, realistically, going to take a few months because I've never done any of this before. Of course that excitement has lead to a certain amount of over-exertion on my part. I have to remember I can't pull all-nighters like I used to. And on that note, I'm going to go to sleep as soon as I go through all the subscriptions that have been piling up on me. Oh! I need to finish Gargoyles too! On Thursday I'm going to have foot surgery. At least, we hope that I can have foot surgery; it may be the case that whatever it is has gotten too infected and we'll need to go through a period of temporary procedures to remove the infection, and then do the foot surgery. The temporary procedures also involve knives, unfortunately. Whatever happens, I'll be too out of it to film. Or edit. Or do much of anything other than sitting in my chair and taking pain medication; it's not exactly friendly towards cogitating about Terra Mystica. I'm hoping I can game at least a little but I'm thinking I might just be watching the rest of Gargoyles and then something else. I also have a small DVD series about Chinese music, too, that I should enjoy. The whole surgery thing I've gone through before, and it's gotten me down, I admit. There's so much I have had to do to prepare for a period of not being able to drive (it's my right foot) or walk very far (at least not without a lot of pain). I live alone, so there's not much help and I don't like bothering people. I haven't filmed for a week because I've been so worried and it comes across in the footage and the voice overs. But I'm not too, too worried. It'll be ok, I'll survive, and all that. From past experience I'll be kind of OK after a few weeks, and still on the cane for about two months after. I actually don't mind the cane, even though it doesn't have a fancy tip on it. It's helped so much in the past that it seems bad to resent it in any way. Anyways! This is all to say "ignore the calendar for a month." I'm sick. And it makes me upset. It's not just a cold or flu or something like that. Something bad happened to my health that I'm just not recovering from, and the doctor doesn't know what it is, but she does think it was related to over a decade of a highly stressful job. Whatever it is, it's affecting not just my physical health but also my mental health. I've been trying to rest, trying to get back to a state where I can exert myself as I used to. Working in a start-up environment for over ten years... that apparently is disastrous to one's health. Or at least my health. I used to work non-stop for days on end. I used to work through weekends and late into the evenings. I did this for years. I still found time to game, although less and less as the years wore on during my prime, and then more and more as I became more consistently ill.
And I thought, at the beginning of this month, that I was all better again. So I pushed myself into programming, into filming, into reviewing and writing, at the same levels of effort as I exerted when I was working. Then I got horribly sick and it put me out of doing anything for almost a week. Now that I'm somewhat recovered again, at least enough to do a single video review, I find myself... just sad. Sad that I destroyed my health as thoroughly as I did. That I let work dictate my life instead of the other way around (but who of us can afford the other way around anyways?). That I am possibly facing a shortened lifespan as the result of all this. That I'm not going to get better. Not in a year even. That it's going to be extremely difficult now to find a job. I don't know honestly what to do sometimes and it makes me upset, especially since I have surgery to deal with now (just on my foot, not huge as things go, but it will put me on a cane and in even more pain and yeah I just hate this). When I think about what I'm limited to now, heck yeah I get upset and frightened. But one thing doesn't get affected—as much—by the illness. And that's boardgaming. Well. Solo boardgaming, if I'm honest. I love social interaction, but now it exhausts me. But if it's just a boardgame, and just me, and I don't have to climb stairs to get to my games and I'm somewhere bright and comfortable, I can game a lot. I don't know why in particular, but it's keeping my mind sharp, or at least, I hope it is. I figure games are why I'm still able to learn as quickly as I can (that is my strongest mental ability: to be able to absorb large quantities of knowledge quickly, and thence to disseminate it via teaching; I'm basically an information conduit). So when I get upset, I'm just going to take out a boardgame instead of wallowing in it. And yeah... I'm 36. And a walking poster child for "yes, you CAN work yourself into an early grave." Core Worlds SoloPlay Playthrough Complete! All five videos (one per sector) are up. for the SoloPlay rules for Core Worlds. So yesterday I was already coming down with something, and I rested in the hopes it would go away (video editing is resting, as far as I'm concerned). Today though it is full-blown and making videos would probably not be a good idea. I'm rather trembly right now and it just wouldn't work out well. Videos will be pushed back a few days, maybe even a week. The calendar will be adjusted accordingly as I work my way through this. In the meantime I will just be resting. I have a good idea about how the Terra Mystica SoloPlay rules will shape out for tutorial and possible playthrough, and will be making a few moves here and there. Speaking of which, have a poll! It shouldn't close for a week. 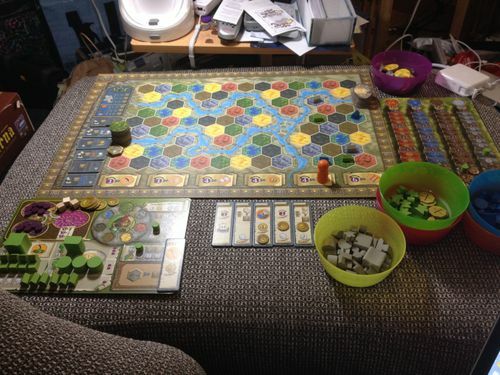 What would you like to see about Terra Mystica SoloPlay? I'm scripting also the Viticulture/Tuscany review, which will be pretty involved, so it feels like it's a week that things will be pushed back. So there were a couple of things that prompted the name change from Solo Boarding to A Gaming Hobbit. The first was that the original intro music was too load and brash, which can trigger migraines or make them worse. Migraines are something so horrible I would not wish them on my worst enemy, so that had to go. At the same time it was also privately pointed out to me that "Solo Boarding", while probably a fine name, brought to mind other things that involve boarding, which range from the mild to the horrific. And like things that you can't unsee, I couldn't unsee/unhear it. I meant to riff off the sport of snow boarding, but, yeah. I really kind of like the stuff I created from public domain OpenClipArt.org, free fonts, and so on. And learning to use clipping planes in InkScape, and just InkScape in general, has helped me so much with gaming and logo related tasks. I'm thinking I can probably make shirts and mugs now, since I'm not using a font that prohibits me from doing so. All in all, I like the change, but I'm curious how many subscribers I'll lose.